Love your photographs! Looks like a great time. Thanks for sharing. Thank you for your comments! I look forward to going there next year. 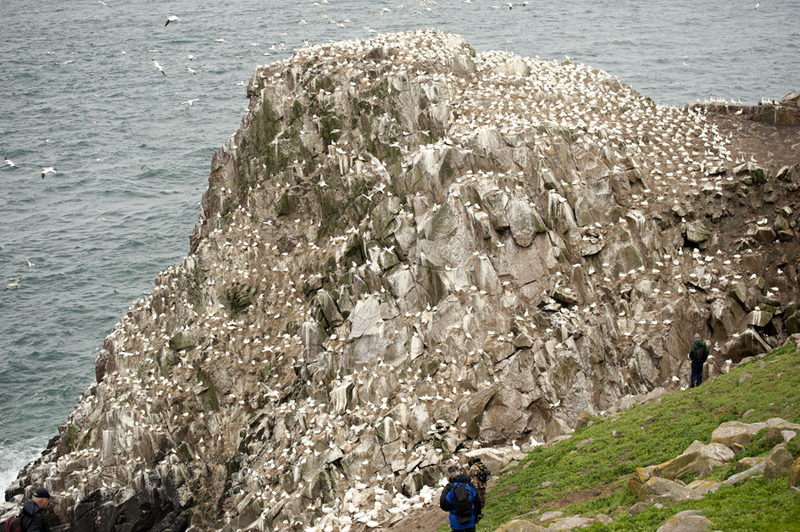 Took me back a few years to when I visited the Isle of May, a small island in the mouth of the Firth of Forth, which is a Puffin sanctuary. Thank you for stopping by! I wish there were more sanctuaries in the world. 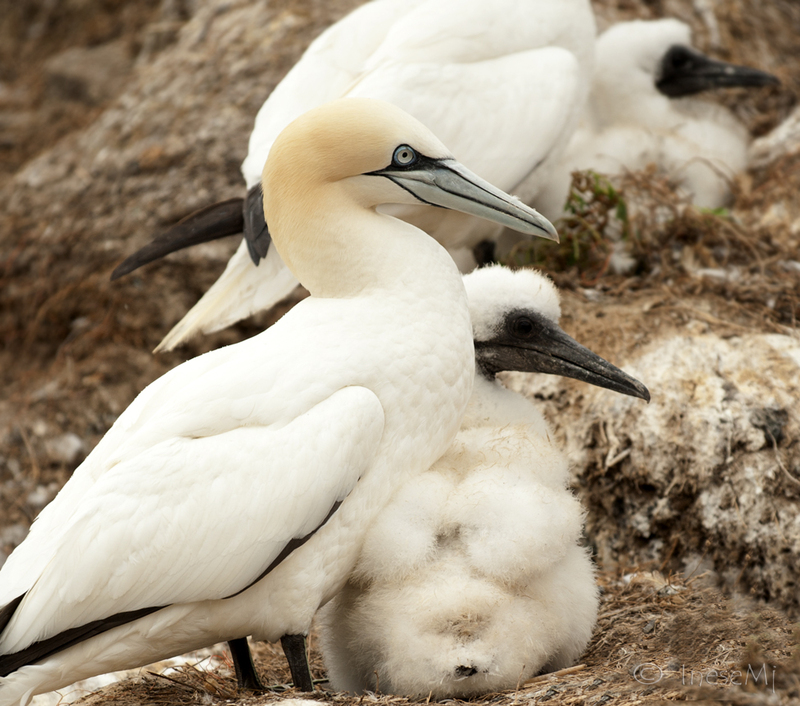 Gannets! Wow – never heard of them. Beautiful! I really was spellbound by how close you got to these unique birds. 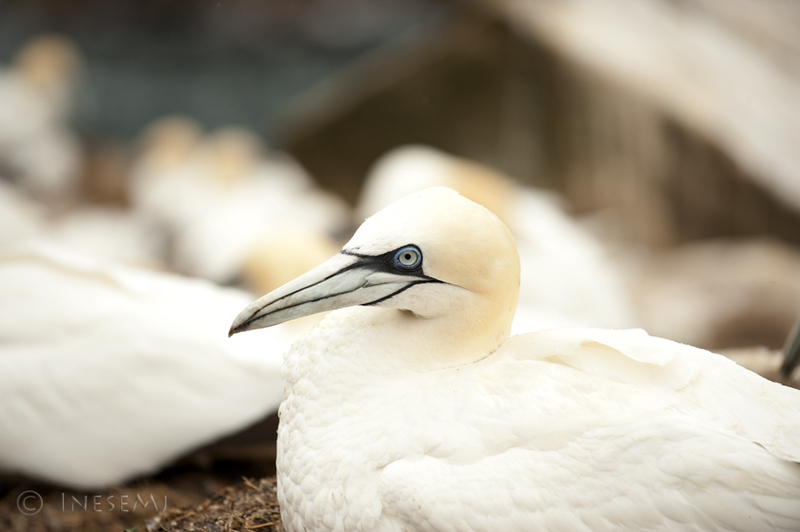 I loved the gannets, the photo of the gannet with a reflection in his eye, of you taking its picture. Wow! 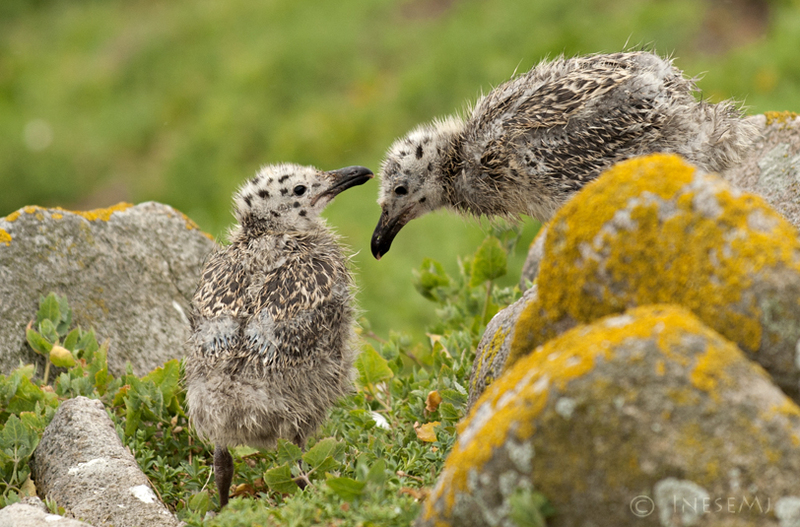 The baby gulls were so sweet, along with the black back nestlings. Being named a ‘bird’ I have paid attention to the flying creatures and love birds. Thank you for your comment, Robin. 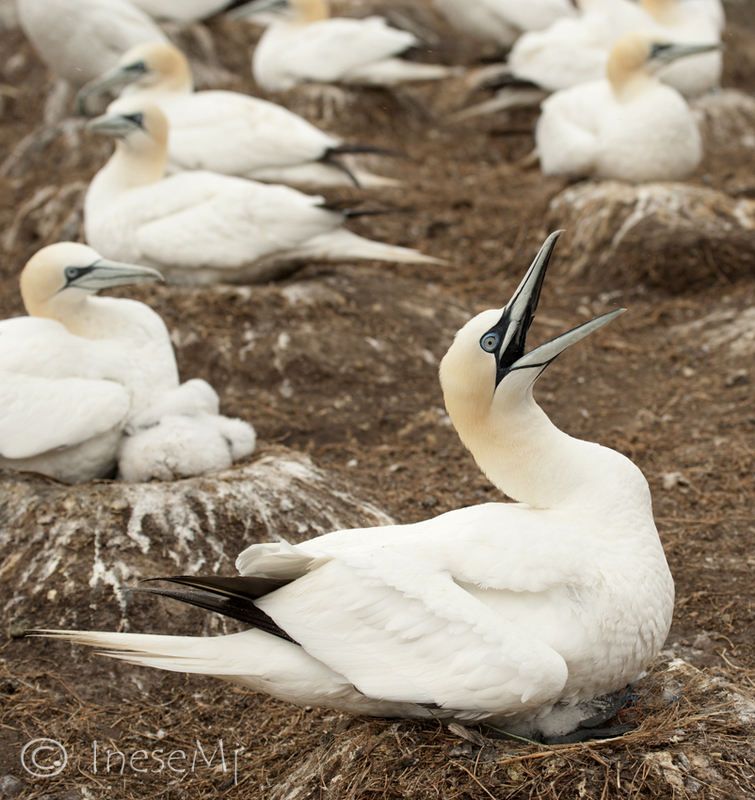 I have more photographs of gannets taken last week. Will post them Saturday. Thank you very much, Derrick! Thank you! That trip was truly amazing. Thank you Cindy! Next week I will post my new photographs from the place 🙂 Love these birds. 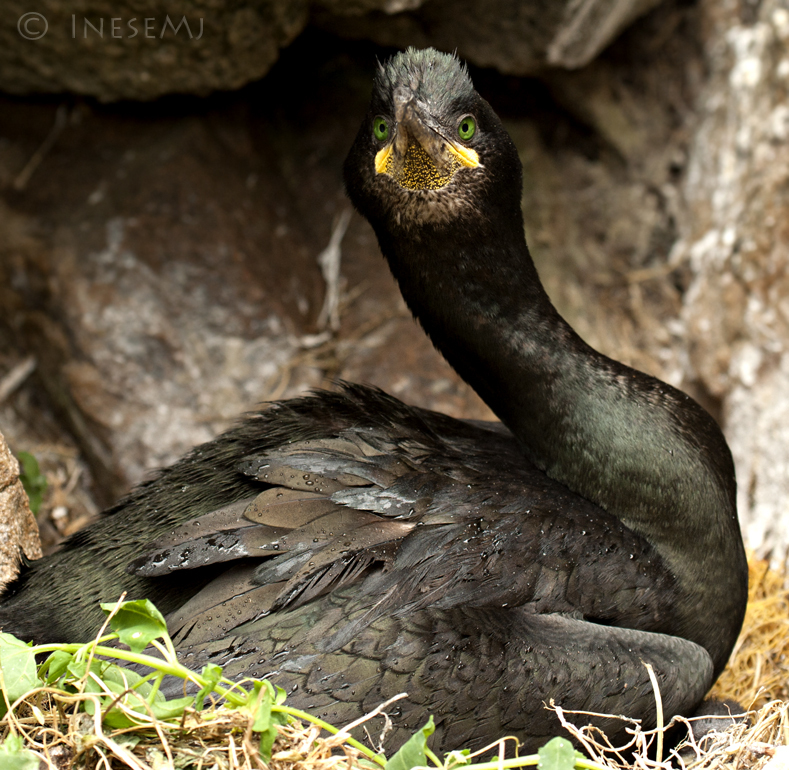 And this is another old post from my last year’s trip to Saltee Island. It is a beautiful place, a haven for those looking to escape the big city for a day, for the birdwatchers and photographers. 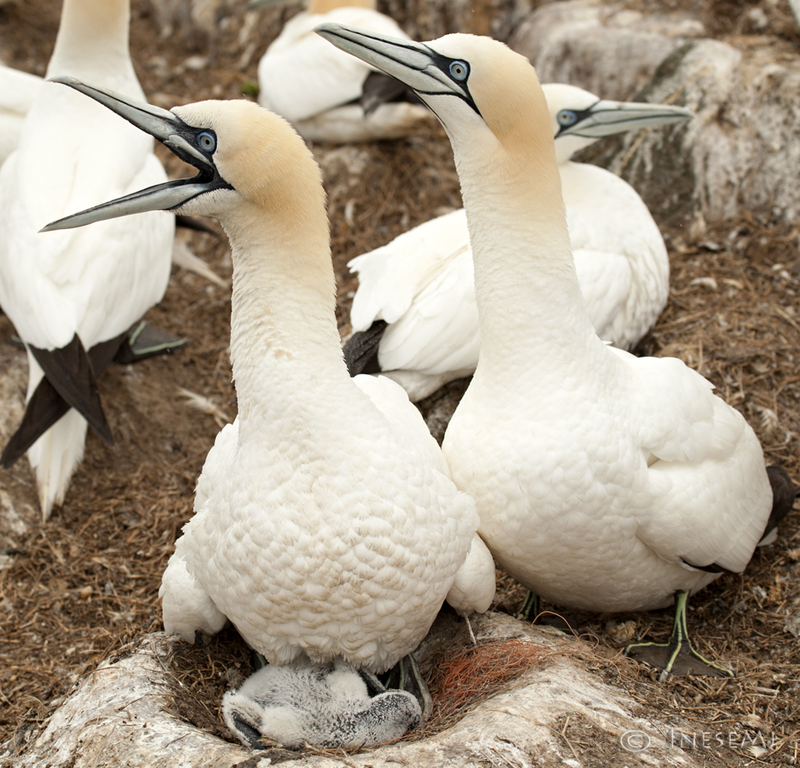 Hope you enjoy this post and the trip to the Gannet kingdom. 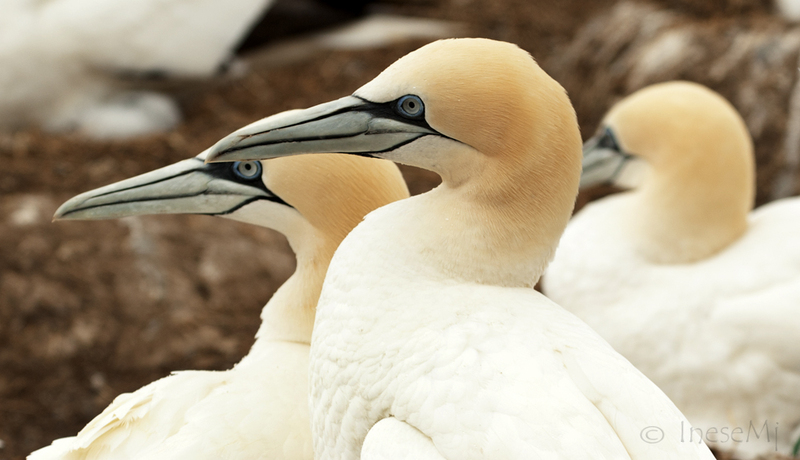 btw, did you check out the puffin post? It is the first half of our Saltee photo shoot. Thanks. Hope you also have a good week. Beautiful photography! I really enjoyed this journey with you. Absolutely Breathtaking! They absolutely all took me right there with you! 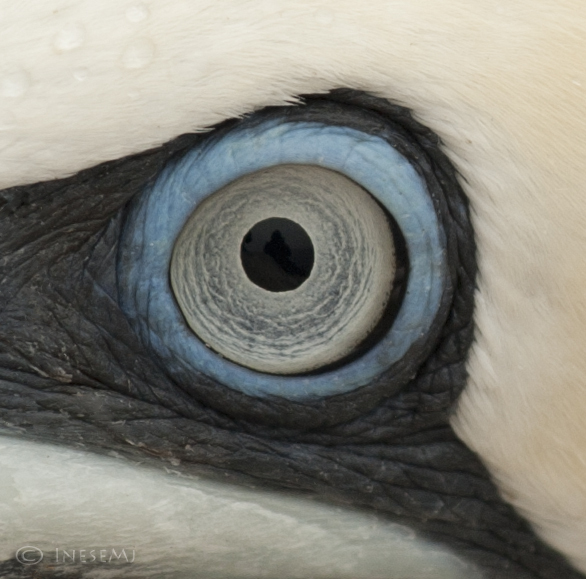 Especially the EYE… I am so glad I can follow your unbelievable photos and journeys! Thank you again! Hope you have a wonderful week! The world is created for our joy and happiness. May all the creatures be safe. Thank you for your kind words. That was a one-day trip, and only one hour and half drive for me. 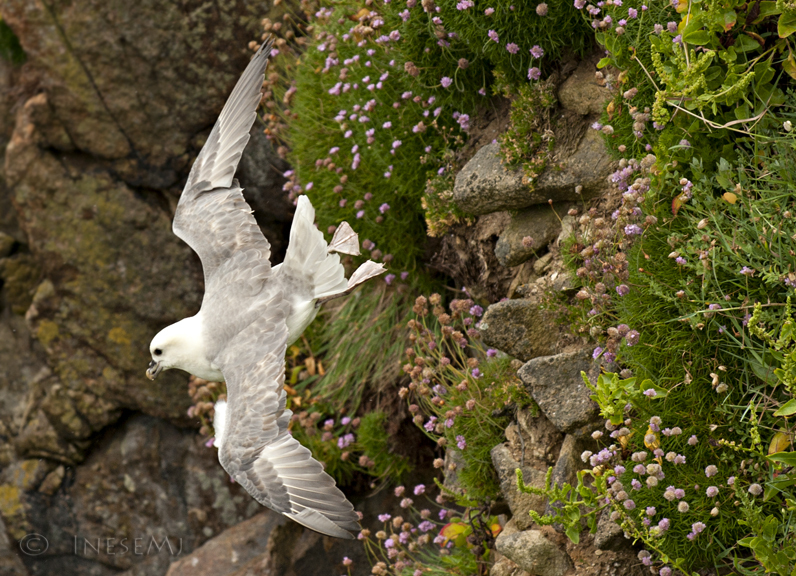 I made two posts: this one and the previous one, about the puffins, so you can check it out too. Thank you again! 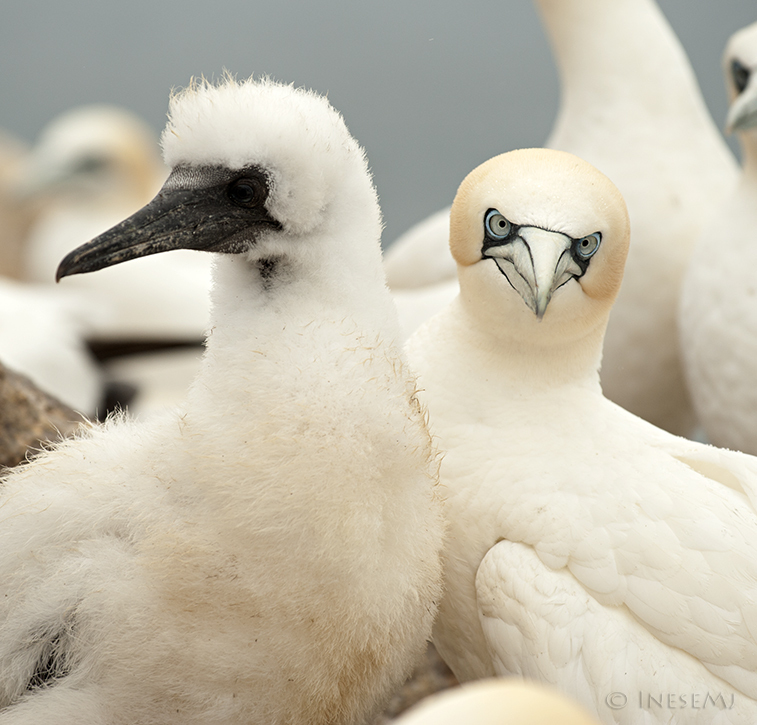 Have you ever had the chance to photograph albatross? wonderful job of showing an intimate view of creatures most of us will never get to see like that. Did you think it was a pain to get to and fro or did it add a layer of attraction that such an extraordinary place was hard to get to? Oh no, I didn’t mean to add attraction. It is not a tourist place. 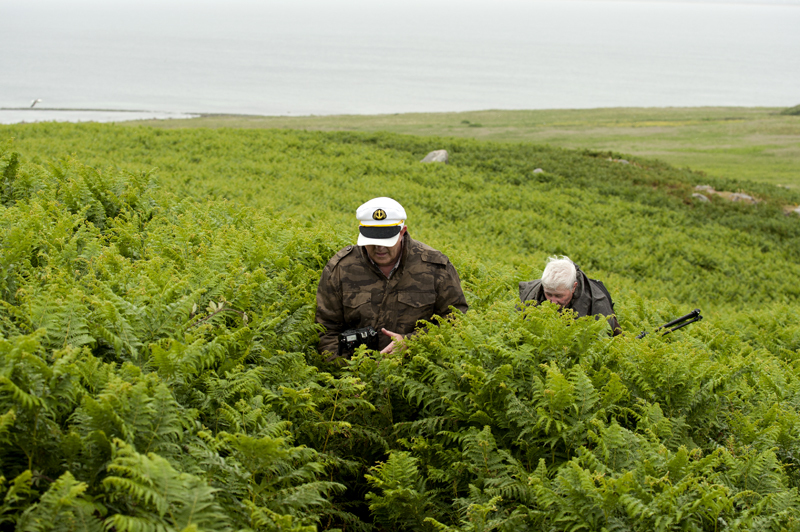 Ornithologists, photographers, dedicated bird watchers are usual visitors, and they treat the island with reverence. Of course some people might come there in their private boat, from the other side of the island, and stay over night unnoticed. Things happen. To get there legally, there is one boat and one captain who does the ferrying, and there are the rules set by the owners ( I posted a link). 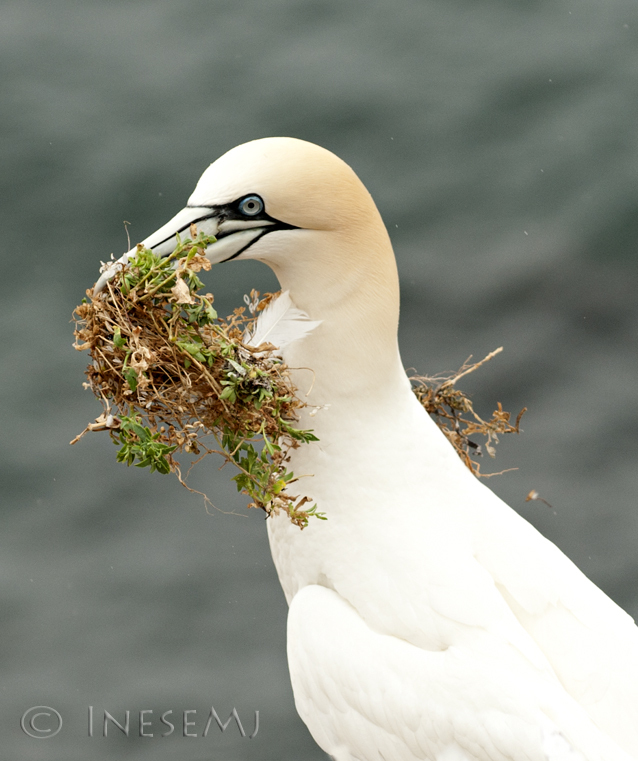 Did you also check the puffin post? The previous one? I think there is that link to the owners page. People can go there, of course, but they have to obey the rules; there is no toilet, and you are not supposed to leave your waste on the island; 25 minutes long boat trip can be tough: the waves go over the boat, so you have to have a waterproof outfit; hiking is ok, but still… it is not a flat place. 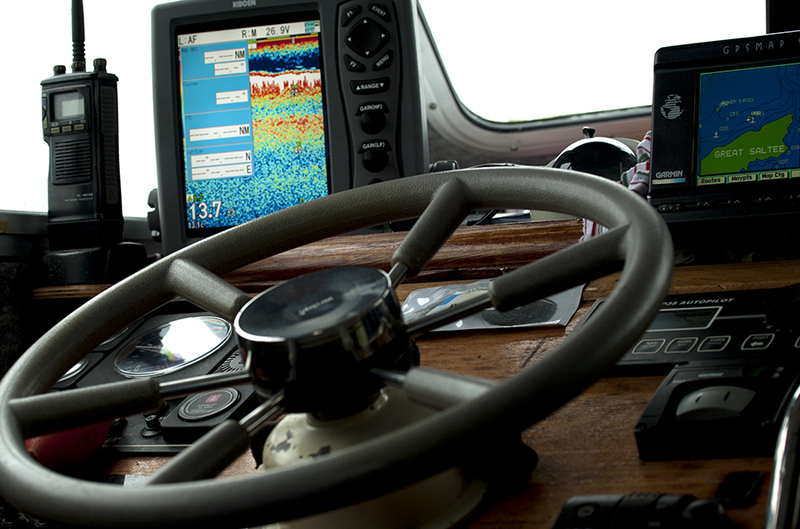 So, the best thing is to discuss everything with the captain: you have to call him anyway. 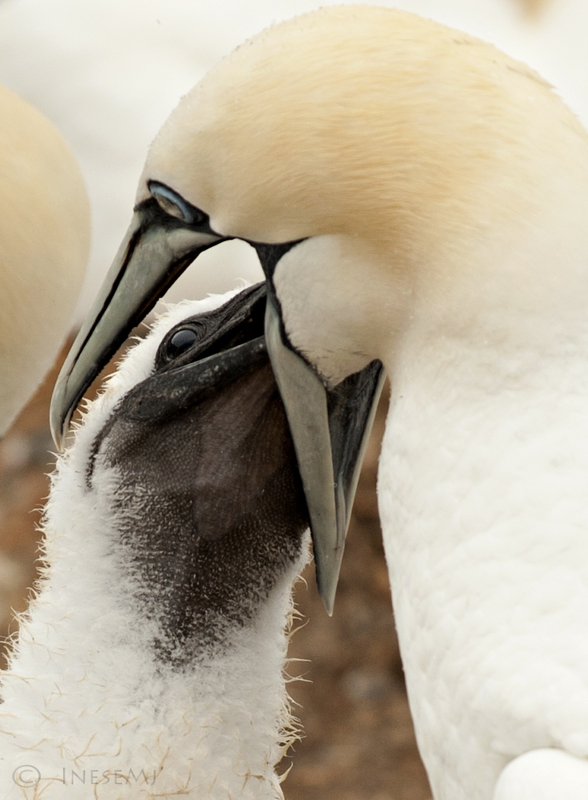 amazing photos of beautiful birds, and interesting article. thanks. Thank you for stopping by! One of the photos shows how close we were standing. 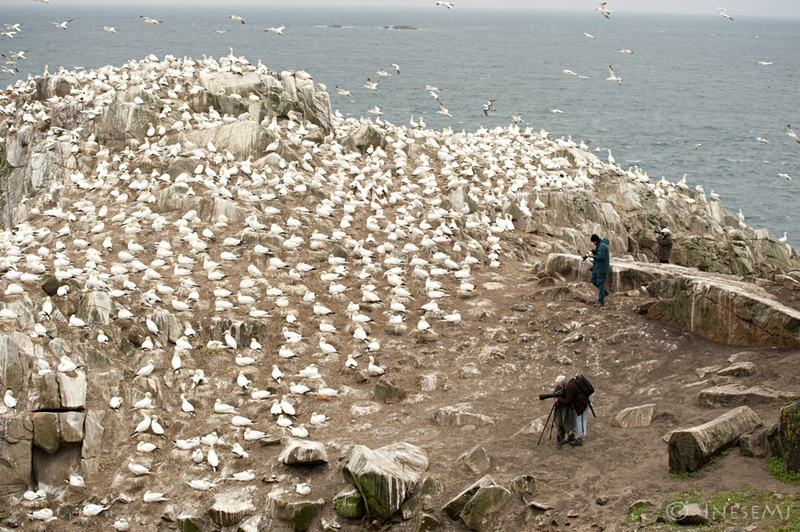 The birds are used to the visitors: there is always somebody on the island. There are no casual visitors or campers though, and the place is always left as it is found. 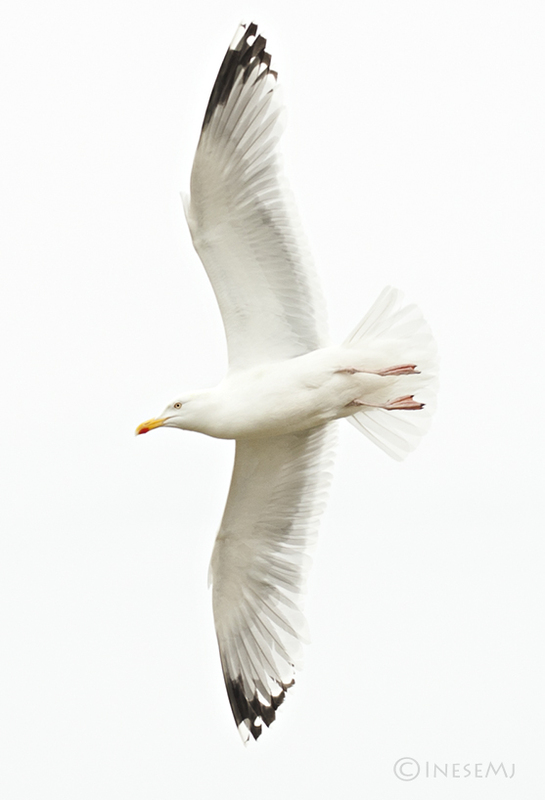 I did crop, I don’t have a telephoto – not really necessary for me. The pictures mostly taken with 70-200. LOL Did your read this reblogged? I saw there was something about girls and make up:) Well, the most amazing eyes, I wonder why the Nature made them this way? If you think the title of this post was about girls getting ready for a night on the town you would be wrong – stunning photography of nature. Thank you Sheri! The beauty of the World makes me speechless too, very often. Fantastic collection of photos. Enjoyed the post! Thank you for your kind comment, Hattie! Very beautiful shots of beautiful birds. Thanks for sharing. A wonderful post with amazing images. Thank you for sharing this. Inese, these are absolutely amazing. How well done and sharp and light-filled! Thank you so much for sharing! I want to become a better bird photographer, but I’m not sure what equipment is best. Do you have any suggestions? Wonderful set of photos. Thanks for sharing. Thank you sweetie! 🙂 Glad you enjoyed my trip. My very best wishes to you too! Sweet girl, you are spoiling me with the awards:) Thank you so much, really appreciate, and glad to promote the other bloggers! 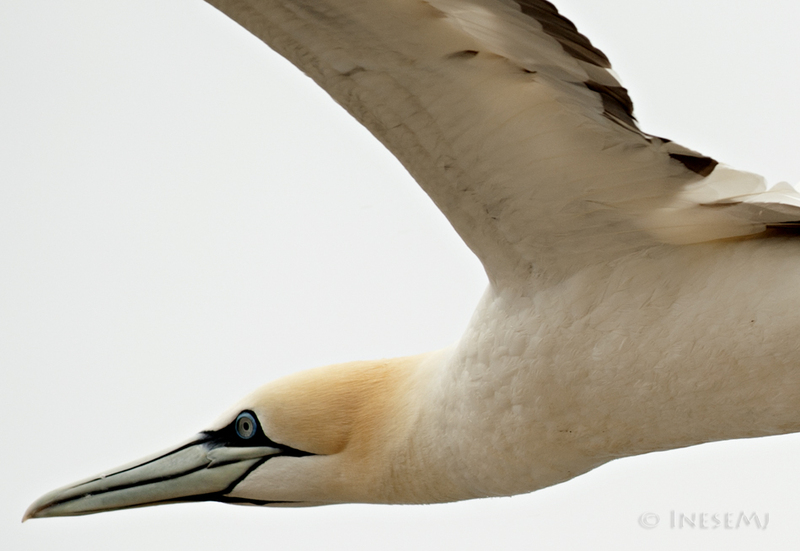 Wonderful photos again, I particularly loved the gannet’s eye. Thank you Andrea! 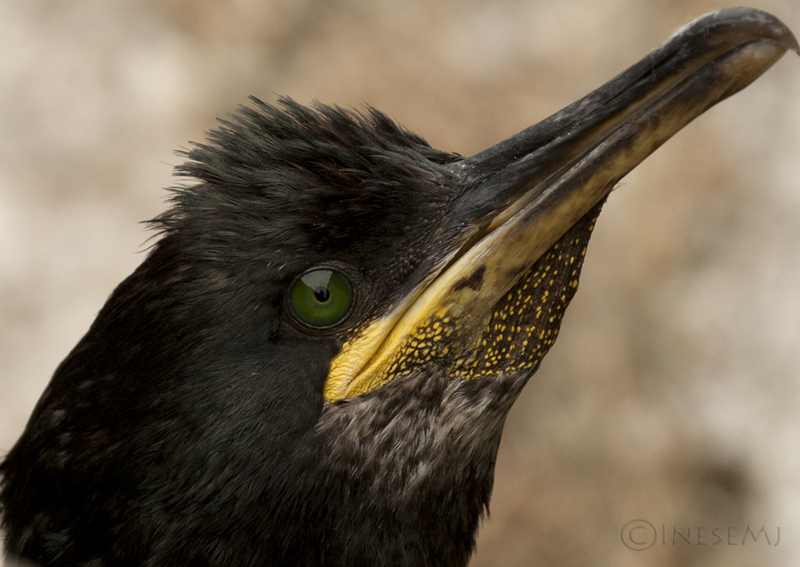 I can see myself in that eye:) These beautiful birds were nesting 2 feet from the path. I have never seen a bird colony before. Amazing aren’t they, we have a place called the Farne Islands in Northumberland, not too far from where I live, which is similar in terms of bird colonies and also seals. 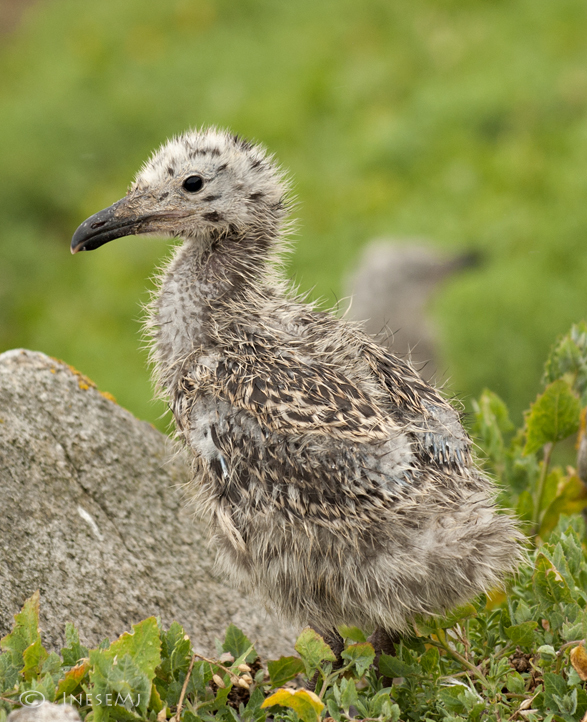 Just googled The Farne Islands. Very similar, and so beautiful! Delighted that all these birds have some land for their needs. 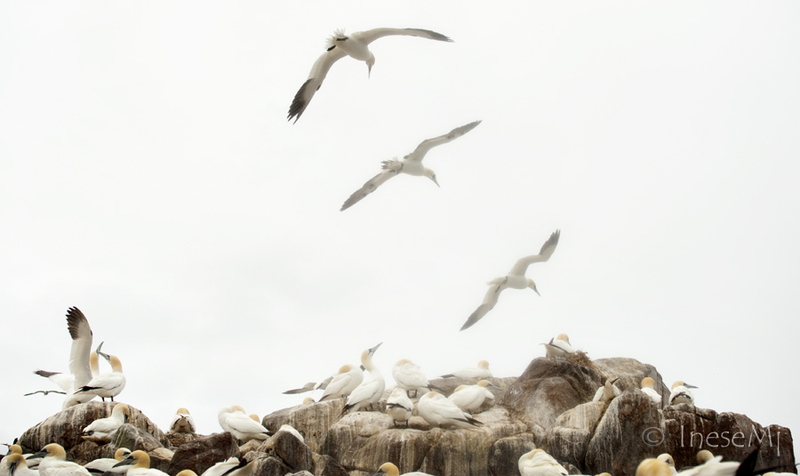 You not only give us wonderful photos of these majestic birds, but also an excellent nature study. I can barely imagine the awe of being there – surrounded by nature, and beauty, and noise. I hope the man will leave these creatures alone. Thank you Imelda! I so glad you enjoyed the photos. We had the island for ourselves because of the nasty weather. 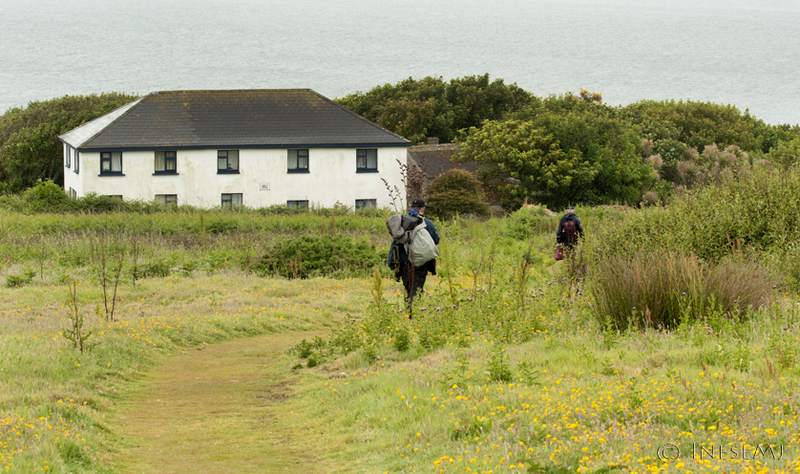 Sometimes there are about a hundred people on the island at a time, but I have never heard about any incidents so far: people respect this place, and the fact that it is privately owned also helps. Hope it stays like that. Thank you Tony! I agree with you. So grateful that the islands’ owners leave this place for the birds. 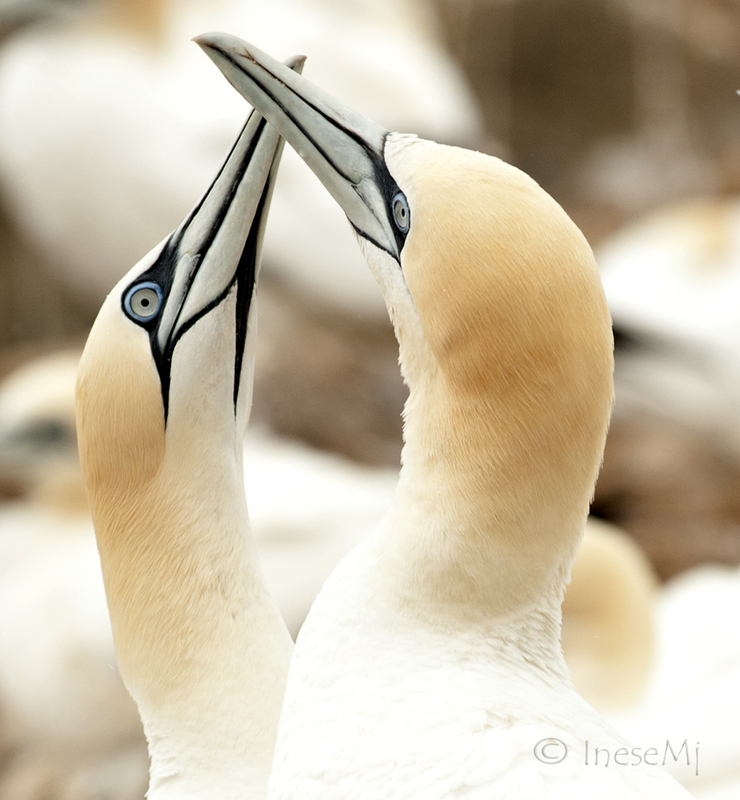 The gannets are wonderful and you captured them so beautifully. 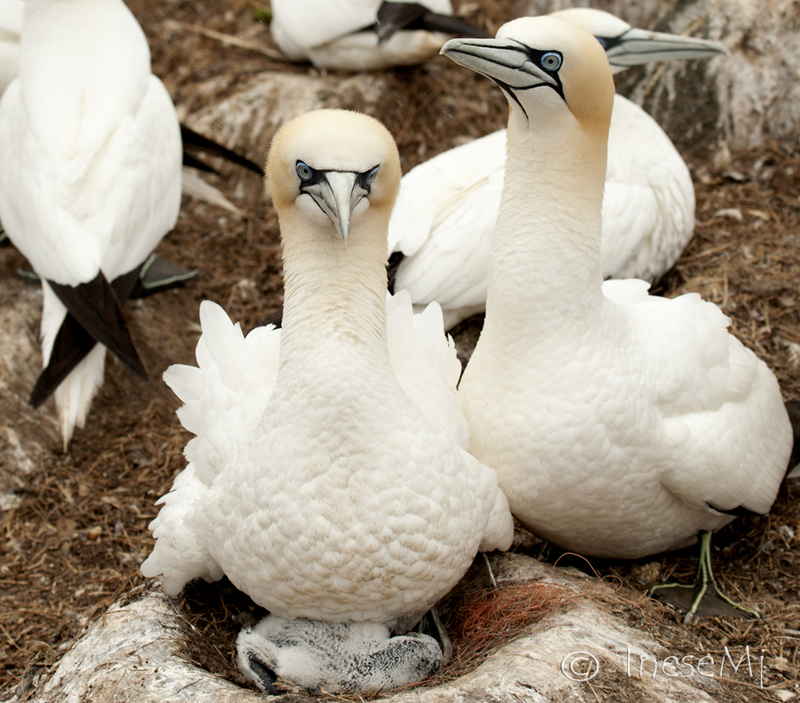 They almost remind me of my favorite bird- penguin, in their mannerisms. 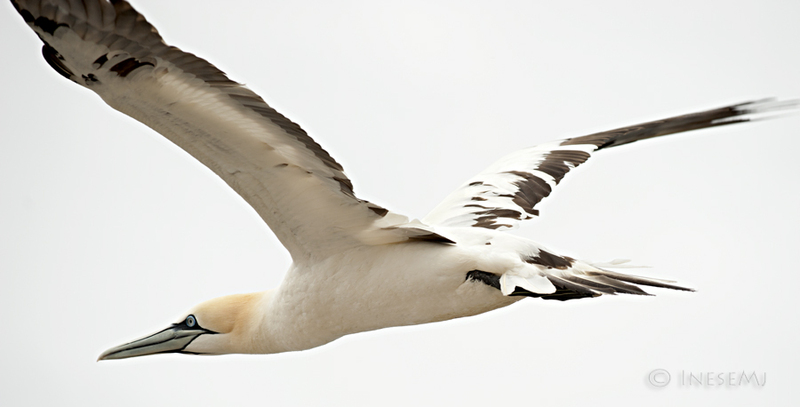 Unfortunately my penguins are flightless, but the wings on the gannets are quite exquisite! Loved the photos as always! 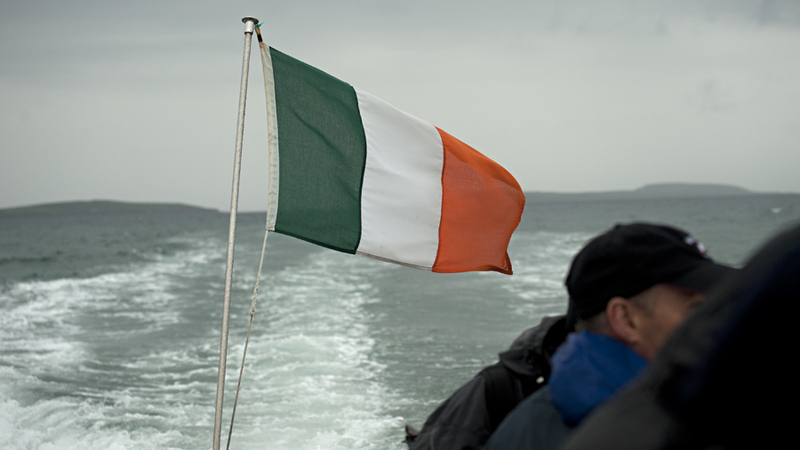 Wonderful images – thank you for sharing your pictures and thoughts on what must have been a wonderful experience. I’m envious! yes. it is difficult for people to change. Yes I guess they can be found on both side of the Atlantic, always surprising to find the same species spread all over the ocean. I did enjoy the trip! 🙂 What a blast that must have been! A National Geo Special one-frame-at-a-time. Nature urged me to speak.